An inexpensive, quick deployment pool for decontamination or spill control. 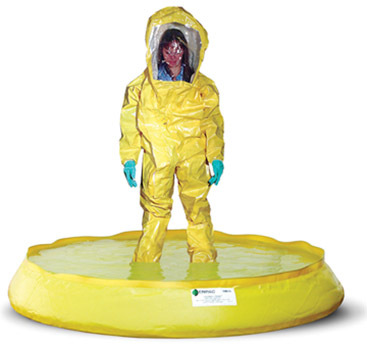 The Haz-Mat Pool is an inexpensive, quick deployment pool that takes only seconds to set up for decontamination or spill control. Small enough to be stowed on any truck or emergency response vehicle. Tough for most climates and jobs - resistant to cold temperatures to -65 degrees F, abrasion, punctures and UV rays. Reusable after decontamination or discard according to regulations.